It has been hard. 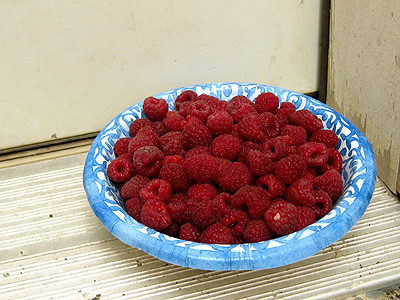 But not one week has gone by this summer without one sweet neighbor or another bringing by a loaf of bread, a bag of beans, fresh corn, peaches, tomatoes, lettuce, cantaloupe, or a bowl of berries. At a big barbecue last night, a girl asked if anyone wanted to combine the ketchup bottles and take one home. I did! So she gave me a bag of hotdog buns as well. And on Monday at a family cookout, my mom somehow had about 5 pounds of extra meat that is now in my freezer. Despite the stress of running on empty, our fridge is full. So I smiled at church today when we spoke of manna from heaven, and I believe God smiled back. Awesome! You must be loved. We are! Another neighbor just brought more peaches, tomatoes, and cantaloupe. Happy days!